“We have successfully carried out many contracts on the SPEN Network over the years and look forward to cementing our relationship even further with this long term commitment”. Transformer tank and fittings – Condition assessment; Bolt tightening; Full cleaning and removal of surface rust patches; Full steam cleaning; Touch- painting of corrosion treated areas; Full painting of transformer tank and all fittings; Welding of the main tank cover lid and bolts. Control cabinet – Resealing main door and/ or walls. External and internal painting. Check protection devices. Condition assessment of multicore cabling & accessories. Replacement of heaters and lighting. WTI, OTI, isolator switch, relay, contactor multicore cabling & accessories, cabinet. Rosh Engineering Manager, Emanuel Eleftheropoulos welcomes the opportunity to service SP Energy Network transformers across such a wide range of areas which will utilise many of the company’s in house skills. 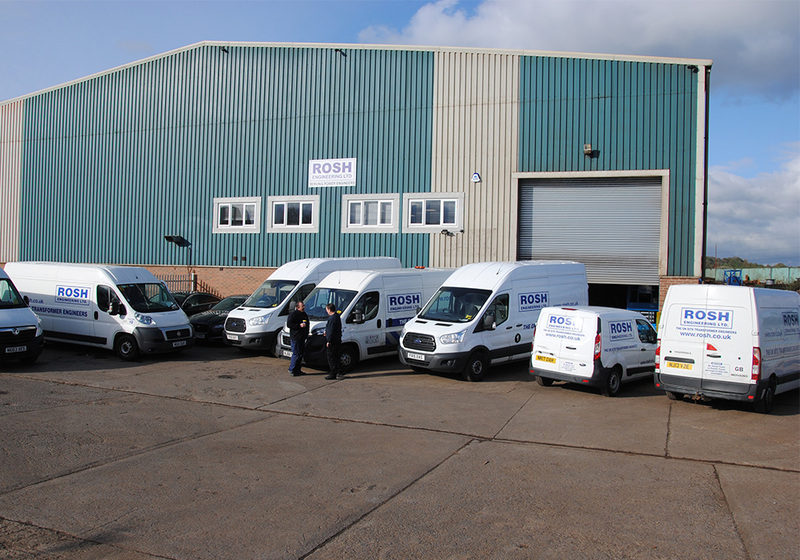 Continued expansion and development of Rosh Engineering’s transformer repair and refurbishment capabilities has resulted in the purchase of a 1,000m2. Factory on the banks of the river Tyne in Blaydon to the west of Newcastle, and right beside the main A1 trunk road. With lifting capacity up to 20tonnes the facility will expand the services available to power engineers throughout the UK and northern Europe. “We have been looking to increase our capacity and capability for factory refurbishment for some time and buying this free hold property secures the company’s future to grow and develop”. Rosh Engineering is the proud sponsor of Harton and Westoe Angels. A girls football team that has great prospects…. well better prospects of success than some North East Football teams. The Sponsorship has given the team a selection of kit for the season. After many years of working with the North West England utility, Rosh Engineering has secured a 3 year framework contract for the repair and refurbishment of power transformers with ENW.